for $210,000 with 3 bedrooms and 2 full baths. This 1,498 square foot home was built in 2019 on a lot size of 75x135. 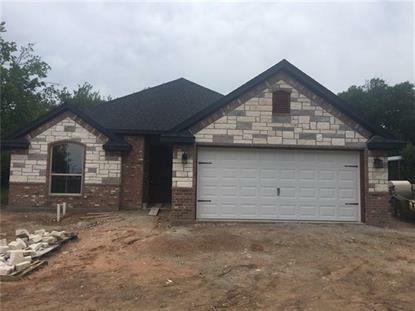 A beautiful, new construction surrounded by live oak trees, right inside the front gate in growing Canyon Creek. This 3 bedroom 2 bath comes with lots of upgrades like spray foam insulation, rock fireplace, custom shaker style cabinets, granite counter tops, brushed nickel Delta and Kichler fixtures. Bathrooms include tiled floors and showers and soaker tub in the master. Wood floors throughout the living areas with carpet in the bedrooms. Home to include irrigation system and full Bermuda sod. Estimated completion mid May. Property information courtesy of The North Texas Real Estate Information System. Copyright 2019 NTREIS. All rights reserved.